Our dealerships stock an extensive range of Genuine Parts and Accessories so you don’t have to look anywhere else – even stocking them on eBay for your convenience. Using the most innovative technology, our teams know exactly how to maintain the health of your vehicle. With Bayford, there really is no other choice when to comes to keeping your car in peak condition. 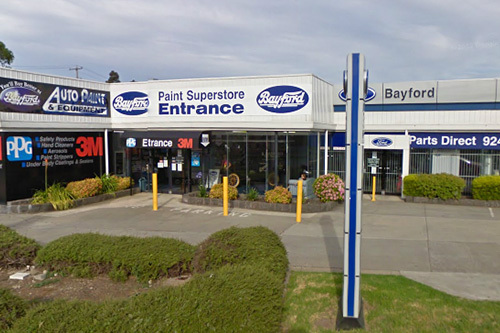 The Bayford Parts eBay store offers a wide range of genuine Ford parts including parts for both new and late models, clearance items as well as genuine Volkswagen parts. 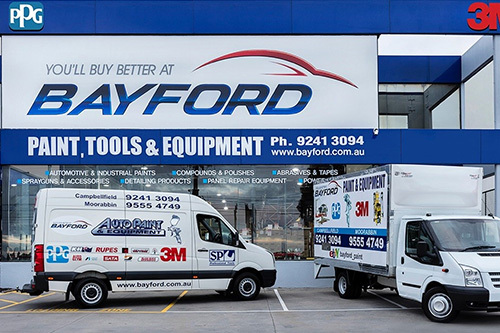 The Bayford Auto Paint And Equipment eBay store is home to a huge selection of 3M products, touch up paint PPG - Ford, masking race tapes, spray guns, tools, equipment and much more! We are the local distributors for a wide range of brands including PPG paint products, 3M Mirka, Rupes, Dynabrade, U-Pol, Farecla, Deb, Devilbiss, SATA, Iwata, CP, SP, Autoglym, Jamec, Pem, Teroson, Kincrome and Endeavor to name a few.